Situated just 300 steps away from the Waikiki Beachcomber hotel, the Waikiki Beach Walk is a vibrant, open-air shopping, dining and entertainment destination where you can enjoy a variety of fun activities. 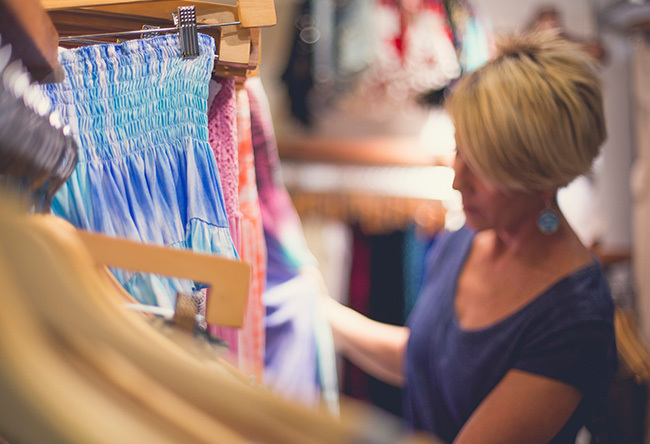 Discover more than 40 eclectic local boutiques, shops and services, including Crazy Shirts, Quicksilver, the Ukulele Store, and Island Swimwear. Pick up a snack or dine at 12 different restaurants and cafés serving up everything from coffee and burgers to poke and steaks. Enjoy live music, Hawaiian dance performances and free fitness classes in the outdoor entertainment plaza or visit the weekly market to fill your bags with locally-made products, gifts and clothing. For some of the best shopping and entertainment in Oahu, don't miss the Waikiki Beach Walk. Free to enter. Parking is $6 per 4 hours with validation, or $4 per 1/2 hour with a daily flat rate of $12 for 9 hours. What are the best Waikiki Beach Walk restaurants? With 12 different eateries offering everything from sweet treats to award-winning fine dining, it’s hard to choose the best place to eat at the Waikiki Beach Walk. If you’re looking for a quick and healthy meal, pick up fresh, made-to-order poke bowls at the Poke Bar. Visit the Beachwalk Café for innovative Vietnamese Bahn Mi sandwiches, French macarons and gelato. Enjoy modern Japanese cuisine at Kaiwa or dig in to New Orleans inspired menu choices at Ruth’s Chris Steak House. Does the Waikiki Beach Walk have entertainment and events? Yes, from concerts and dance performances to ukulele classes and yoga, the Waikiki Beach Walk offers so many ways to have fun. Wander through the Market On The Plaza to find locally made gifts, crafts and fresh produce each Thursday from 4pm-8pm. Enjoy free yoga and fitness classes, sunset painting lessons and Hawaiian quilting demonstrations. Watch local hula dancers as the tell the stories of Hawaii through traditional song and dance every Tuesday from 4:30pm-6pm. Relax and enjoy family friendly Hawaiian music at the Na Mele No Na Pua Sunday concerts.